Description: Cardiovascular Interventions is a business categorized under physicians & surgeons, which is part of the larger category offices of doctors of medicine. 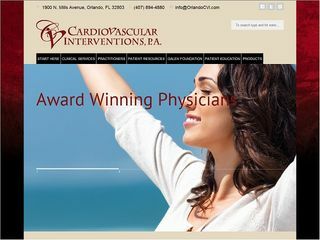 Cardiovascular Interventions is located at the address 1900 North Mills Avenue # 3 in Orlando, Florida 32803-1444. You can contact by phone (407)896-7899.